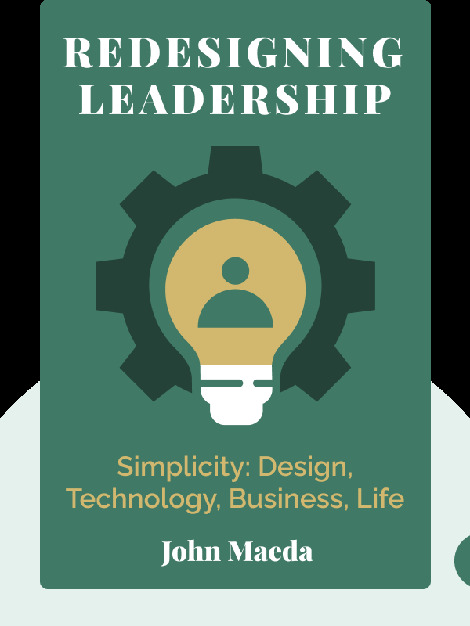 Redesigning Leadership (2011) takes the jargon out of management and replaces it with a human touch. Being a great leader means taking to the shop (or office) floor, making contact with your employees and – most importantly – keeping their focus and respect. The author offers simple ways to be a manager who retains their principles – and heart. 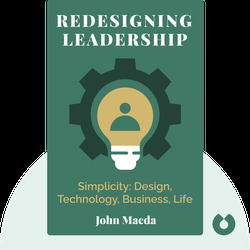 John Maeda is an author, computer scientist, graphic designer and the former president of the Rhode Island School of Design. In 1999, Esquire named him one of the 21 Most Important People of the Twenty-First Century.